Randy Couture Biography, Net Worth, What happened To His Ear? Home Sports Randy Couture Biography, Net Worth, What happened To His Ear? Randy Couture is regarded as one of the best MMA-fighters of all time and has more than enough titles to uphold the claim. He competed in a record 16 title fights through the course of his MMA career and holds the record for the most wins in UFC Heavyweight Championship bouts. He fought for 24 times in the UFC which is the tenth largest number of fights in the UFC. Couture is the only person to have won a UFC championship fight over the age of 40, the only athlete in UFC history to win a championship after becoming a Hall of Famer, and is the oldest title holder ever in the UFC and MMA. Randy is generally recognized as a clinch and ground-and-pound fighter whose wrestling ability gives him an edge over his opponents who he mostly wins by executing takedowns, establishing top positions and successively striking the opponent on the bottom. He has also displayed a variety of skills in boxing, Muay Thai, and Brazilian Jiu-Jitsu. Here is a comprehensive profile of the 6′ 2″ (187 cm) fighter. The Heavyweight champion, Randy Duane Couture was born on June 22, 1963, in Everett, Washington, US to Sharan Amelia (née King) and Edward Lewis “Ed” Couture. He has a mixed ethnicity of French-Canadian, German, distant Dutch, and English; and is fluent in German. He started wrestling from very early in his life after he developed an interest in the sport and would continue through his academic career and beyond. Randy attended Alderwood Middle School in Lynwood, Washington and then Lynwood High School where he was a State Champion in wrestling during his senior year. He is nicknamed The Natural or Captain America. He graduated with a degree in foreign language literature from Oklahoma University. While in college, he became a three-time NCAA Division I All-American and a two-time NCAA Division I runner-up (1991 and 1992). However, prior to his collegiate career, he served in the U.S. Army for six years (1982-1988) and attained the rank of Sergeant in the 101st Airborne. He would apply for tryouts with the U.S. Army Freestyle Wrestling team although a clerical error would see him competing in the Greco-Roman instead. Randy Couture became an alternate for the U.S. team for three consecutive Olympic games (1988, 1992 and 1996) and was a semifinalist at the 2000 Olympic Trials. The Natural made his MMA debut in May 1997 at UFC 13 defeating two larger opponents which established him as a force to reckon with and advanced him into other divisions of the fight. He was an assistant wrestling and strength conditioning coach at Oregon State University, coached Centennial High School, Gresham, Oregon wrestling team in 2004 and was a student of World Muay Thai Champion Quentin Chong. While fighting in Ultimate Fighting Championships (UFC), he became the first of the few fighters to hold two UFC championship titles in two different divisions. 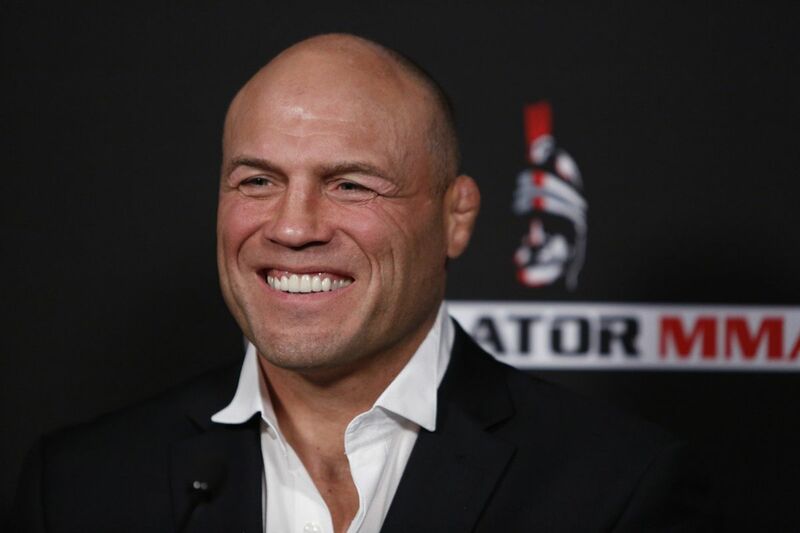 The titles include three-time UFC Heavyweight Champion, two-time UFC Light Heavyweight Champion, an interim UFC Light Heavyweight Champion and the UFC 13 Heavyweight Tournament winner. He has an extensive chain of gyms based in Las Vegas and known as Xtreme Couture, he has also partnered with Bas Rutten to open Legends Gym in Hollywood, California. Randy Couture was inducted into the UFC Hall of Fame on June 24, 2006 as the fourth inductee and is an inaugural member inducted into the International Sports Hall of Fame in 2012. He retired from fighting at the age of 47 in 2011 after his last fight with Lyoto Machida in a non-title bout. He now appears on screen not as a fighter anymore but rather as an actor. His acting credits include The Expendables, Redbelt, Ambushed, The Scorpion King 2: Rise of a Warrior, Hijacked, Setup alongside 50 Cent and Bruce Wills and he also competed in the 19th season of Dancing with the Stars. The Natural was formerly married to Sharon, Tricia, and Kim Couture (née Borrego) and is currently in a relationship with model and actress Mindy Robinson. He has three children: sons Ryan (a professional MMA fighter) and Caden, and daughter Aimee. The fighter extraordinaire has a good number of titles to place him on the list as one of the highest paid athletes combined with his blossoming acting career. His net worth is estimated at $17 million. What Happened to His Ear? Randy Couture is famous for his cauliflower ear which is anyway, not alien to those who compete in the combat sports. It is a product of repeated hitting, bumping, and smashing resulting in rupture of the blood vessels in the ear and subsequent hematoma leading to blood collecting under the perichondrium (connective tissue surrounding the cartilage of the ear). It can be really painful and needs to be drained otherwise it hardens and stays misshaped. To prevent cauliflower ear from forming, one can wear headgear as it can save one the complications that arise from the condition. The complications include hearing impairment, difficulty sleeping, headaches, ringing in the ear (tinnitus), blurred vision, cosmetic deformity, general pain in the ear. For treatment, an incision is made in the ear through which accumulated blood or fluid is drained. Also, applying a compressive dressing to sandwich the two sides of the skin against the cartilage is needed. Antibiotics are also recommended to ward off infection.